Consisting of four book series, the titles by Anthony Award winner Rick Riordan intersperse Greek mythology and Norse mythology. So if you are looking for Rick Riordan book list, your search stops here. The characters in the books are typically demigods fighting evil. The modern-day quirks that the ‘Gods’ in these books have make them relatable and have contributed to the popularity of the books. How does a Thor, who gets annoyed if he does not get his daily dose of TV shows, sound? Or a Hades, who goes around the streets of Las Vegas on a bike? Fascinating, aren’t they? So, let us dive into the world of Riordan’s books. The first and the most popular is the Percy Jackson series based on Greek mythology. 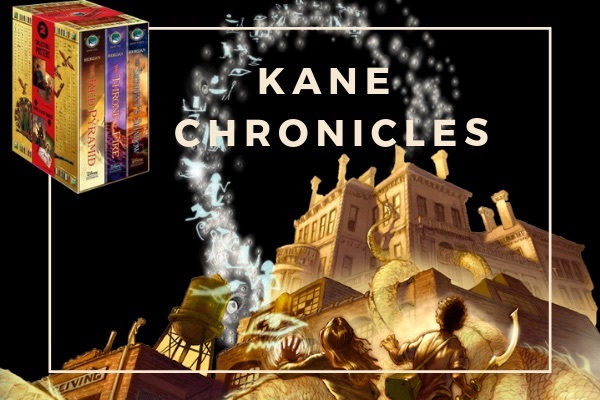 The third is Kane Chronicles with a connection to Egyptian mythology. The fourth is Magnus Chase and the Gods of Asgard, with Norse mythology as the focus. 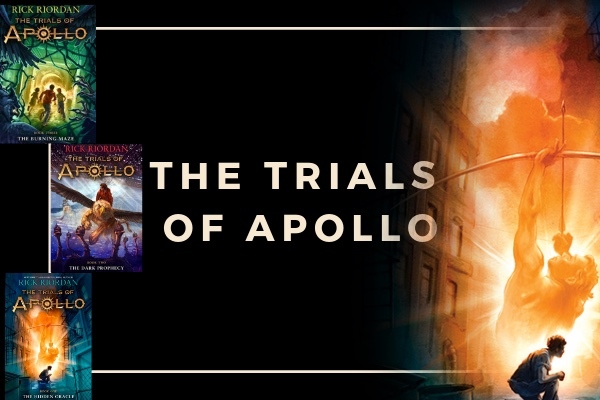 The fifth series is The Trials of Apollo, all about Greek mythology. Rick Riordan has also written another series, though not based on mythology, called Tres Navarre. The seven-book adult fiction series is based on the life of Jackson ‘Tres’ Navvare, who returns home to San Antonio, to investigate his father’s death. The first book in the series, Big Red Tequila, won the Anthony Award in 1997. 39 Clues is a 10-part series written by various authors. The Maze of Bones, the first in the series has been authored by Rick Riordan. Two of the most prominent characters of the Percy Jackson series, demigods Percy and Annabeth, make a reappearance in The Heroes of Olympus along with a handful of other demigods – Jason, Piper and Leo. It is time for some more Camp Half-Blood and a journey all the way to the Underworld to prevent earth mother Gaea from rising. Discover some more Greek mythology while enjoying Rick Riordan’s characteristic humour in this quintet! After Greek mythology, it is now time for some Egyptian mythology. Carter Kane and Sadie Kane, are estranged siblings. After their mother’s death, Katie lives with her grandparents in London while Carter travels the world with his Egyptologist dad, Julius Kane. Their dad attempts to unite them at the British Museum and in a plot gone wrong, releases the Egyptian god, Set. What follows, in this three-part series, is the story of the siblings who are descendants of the House of Life. Written in the voice of both siblings, the Kane Chronicles series navigates through their attempts to save the modern world from the wrath of the ancient Egyptian gods. 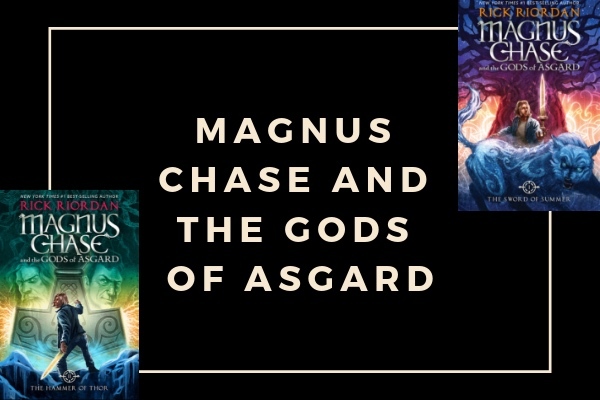 We are introduced to Norse Mythology in the Magnus Chase and the Gods of Asgard trilogy. Magnus has been on the run for two years and found out that he is the son of a Norse God. The trilogy, written in the first person, takes us through Magnus’s journey into the Norse afterlife through The Sword of Summer, The Hammer of Thor and The Ship of the Dead. Two primary characters from the Percy Jackson series, Percy himself and Annabeth Chase, daughter of the Greek goddess Athena, make an appearance in this series. If you are a Marvel fan, then this trilogy is a definite read since it includes several Marvel characters like Thor and Loki, only in a different avatar. The Trials of Apollo is a three-part series that is centred around the Greek God Apollo. Only he is not a Greek God anymore. Having angered his dad Zeus for multiple reasons, Apollo is banished to earth without any of his powers and has to survive on the streets of New York as Lester Papadopoulos, a gawky teenager. 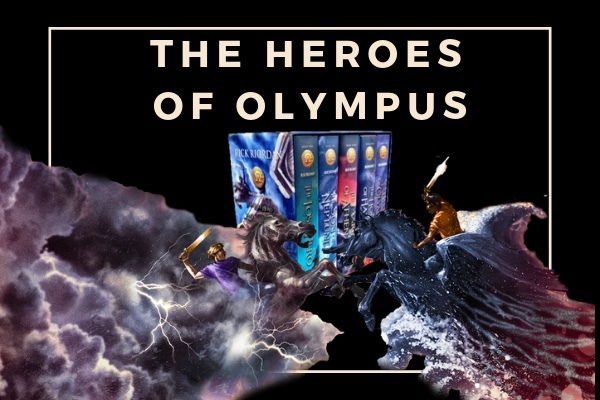 Several characters from the Percy Jackson series and The Heroes of Olympus quintet, make an appearance in the series while Apollo trains at good ol’ Camp Half-Blood. 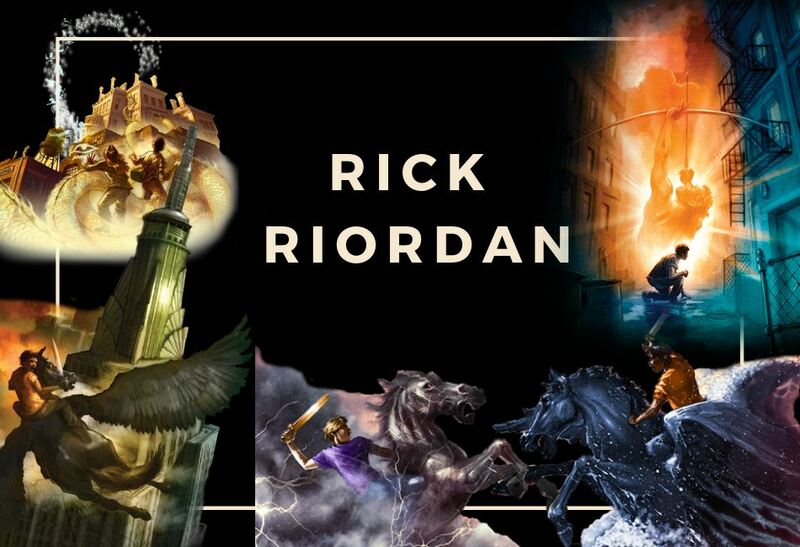 Characteristic dry humour, the ability to simplify complex mythology and make characters relatable are what make the Rick Riordan book series one of the most loved in recent times. Almost all the major characters in each series make an appearance or have joint titles with those from the other series, making for interesting reads! Rick Riordan is also the author of The Maze of Bones, the first in a 10-part series titled 39 Clues. He also spearheads Rick Riordan Presents, an attempt to bring authors and stories from underrepresented cultures and backgrounds to the spotlight. And while we are on the subject of relatable characters and humour, here is a list of books by Indian authors that you will definitely relate to! Head to GetLitt! today and try some of them out. We are sure, you won’t be disappointed. 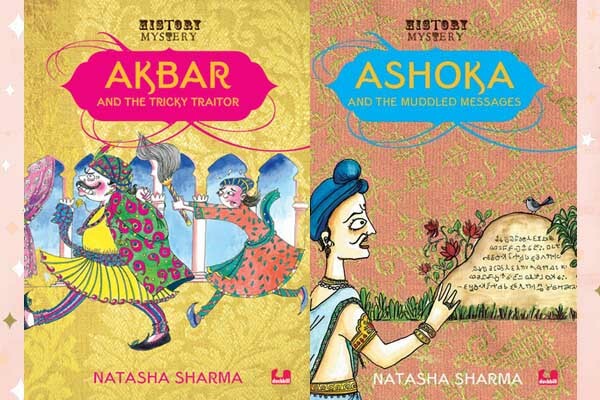 Books by Natasha Sharma top this list! Based on historical characters such as Ashoka, Akbar, Shah Jahan, Sultana Razia and the likes, these books put the protagonists in some weird and downright humorous situations.Stories about characters, whom we have encountered only in history textbooks, make for an interesting read. 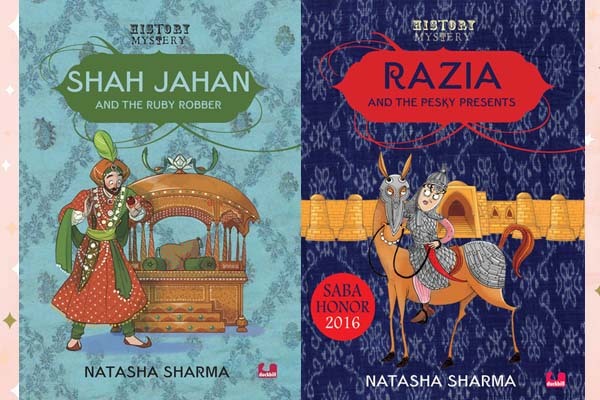 Check out Razia and The Pesky Presents, Akbar and the Tricky Traitor, Ashoka and the Muddled Messages, Shah Jahan and the Ruby Robber, Raja Raja and the Swapped Sacks on GetLitt! today! If you don’t like your mythology tampered with and prefer to read about mythological and/or historical characters as they were, try out some of the Amar Chitra Katha titles on GetLitt! Just look for them under the History and Folk Tale sections! What kind of mythological stories are you interested in? Tell us about some of your favourites in comments! Read More: List of Harry Potter Books: A Peek into the Harry Potter Universe!